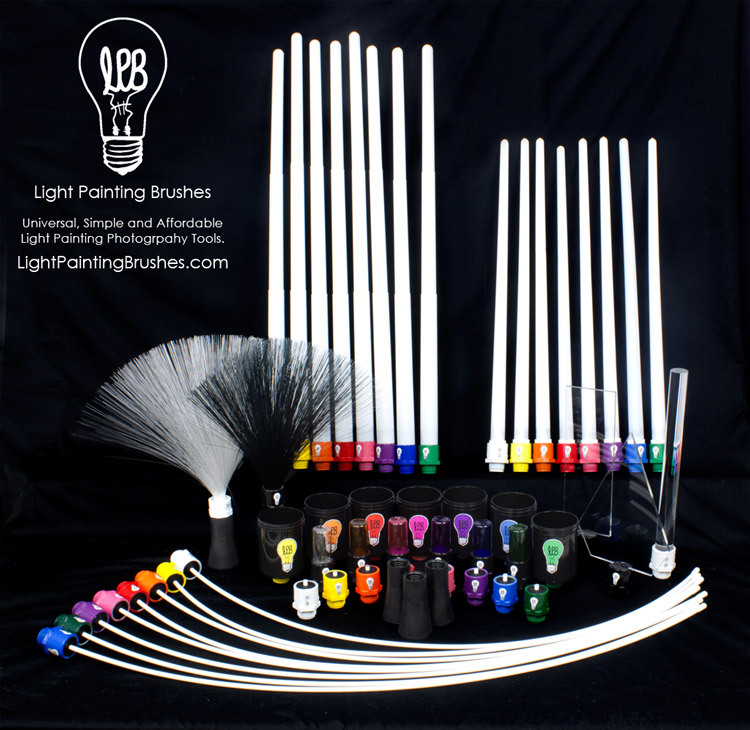 Recently I was asked to try out and review some really cool tools for light painting – call appropriately, Light Painting Brushes. 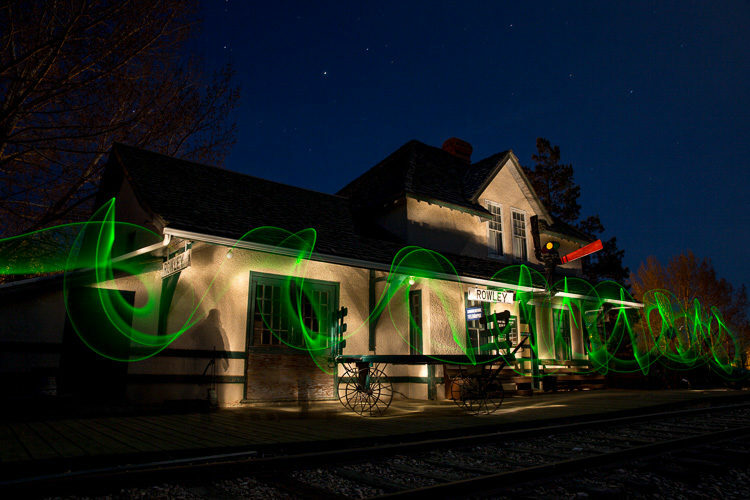 The term light painting is really appropriate because you are doing just that – painting using light – then capturing it using a camera instead of a canvas. If you haven't tried light painting it's really fun. 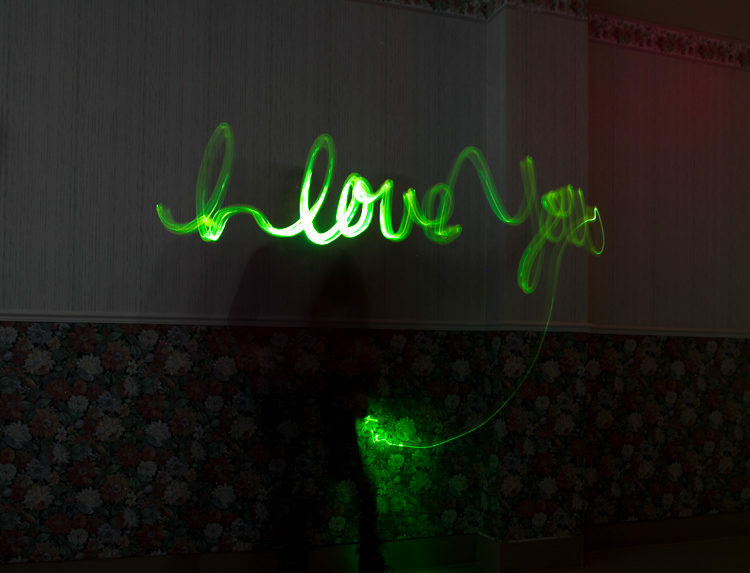 Warning: Light painting can be highly addictive. 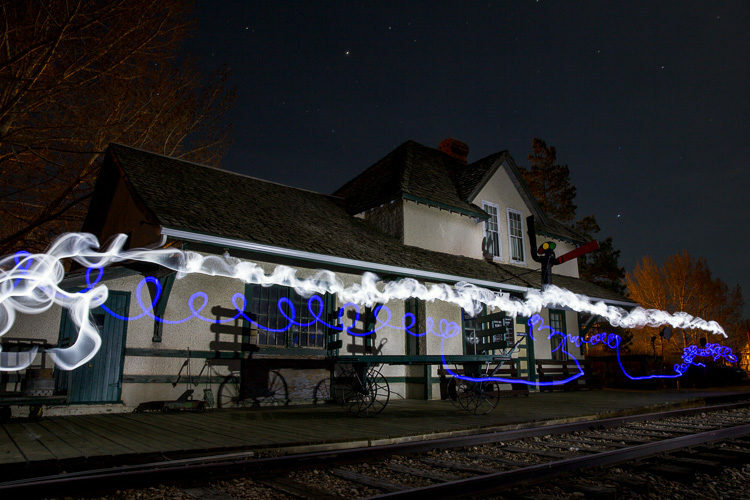 Only attempt this if you want to do more night photography, make some really cool images and amaze your friends! Mostly I've used a flashlight for my light painting, but I have tried sparklers, fire spinning and even adding light using a cell phone. 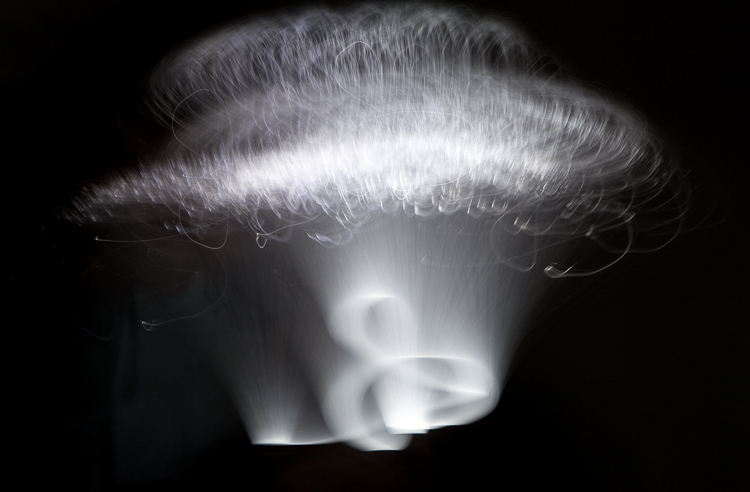 When I was asked if I wanted to give these Light Painting Brushes a try, I jumped at the chance. As you may know your first impression can form way before you even get something or see it in person – mine came from the website. I saw some really cool images and effects being done with these things and couldn't wait to get my hands on them. Then the box arrived and I was amazed at what a simple concept makes it all work – and was also a little bit mad that I hadn't thought of it first! 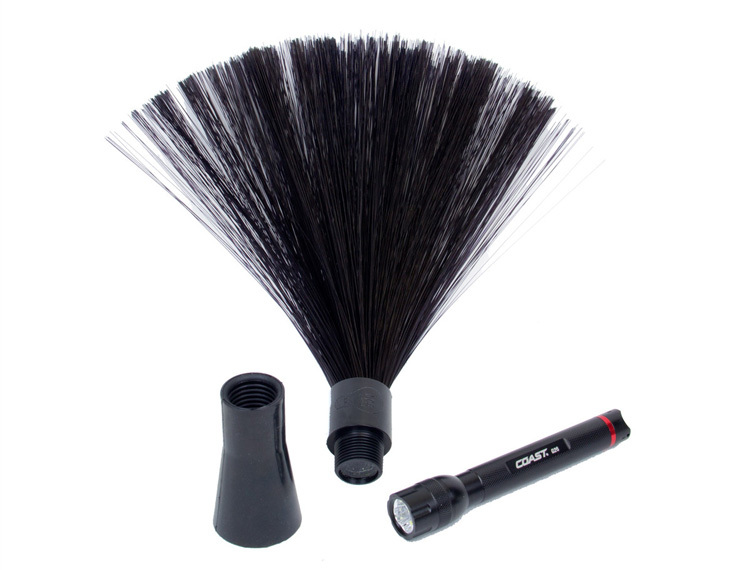 You get something called the Universal Connector which affixes the light brush tools to a flashlight. If you buy one of their starter kits they come with a flashlight, but any regular one with an end diameter between about one inch and 1.5 inches will fit the Universal Connector. 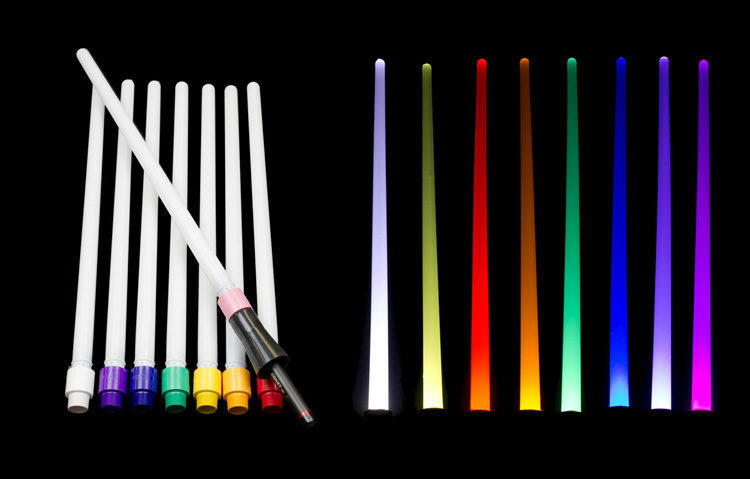 They offer various different ends (or brushes) that create a different type of glow or light for you to light paint with. You can even attach an empty plastic bottle (like a water bottle) to make your own shapes. I got a variety to play with and got to test them out with my night class students and a weekend workshop to Drumheller and a ghost town. How perfect right?! 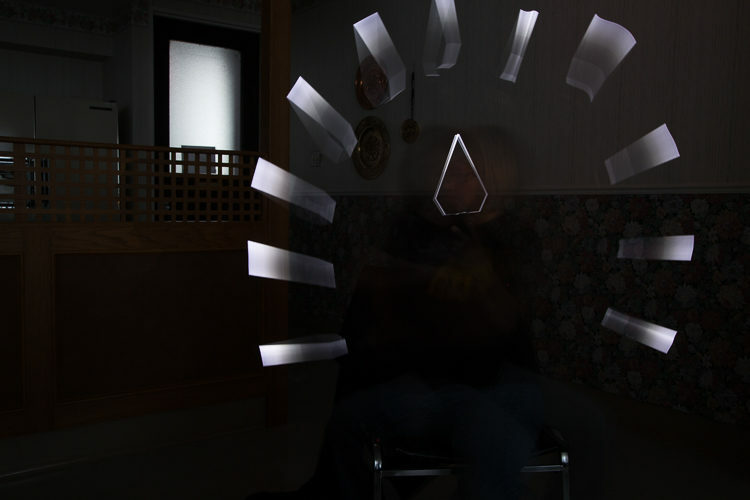 Part of light painting is deciding how you want to go about it. Do you want to just add light to a subject that is in the dark so you can see it? Do you want to outline it? Or do you want to make funky shapes and write your name or some other profound message? Well you can do all of that with these tools. Mind you, if all you want to do is light up your subject, I'd say stick to a plain old flashlight or the torch app on your cellphone. But – if you want to have a ton of fun experimenting, get our non-photographer spouse or partner involved so they actually have some fun too – then keep reading. 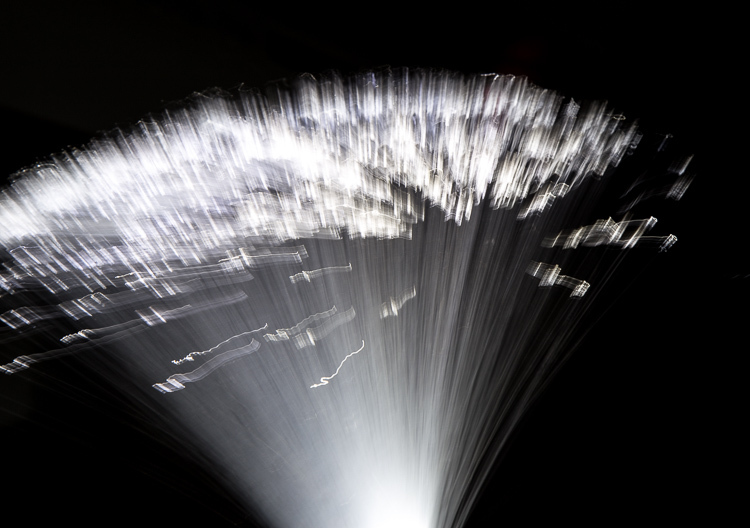 Light Painting Brushes offer two different fibre-optic brushes: black (above) and white (below). I didn't try out the black one too much but here are some images we made just playing around in the classroom. These were actually taken by my students. It's kinda funky looking, as our the images it makes. 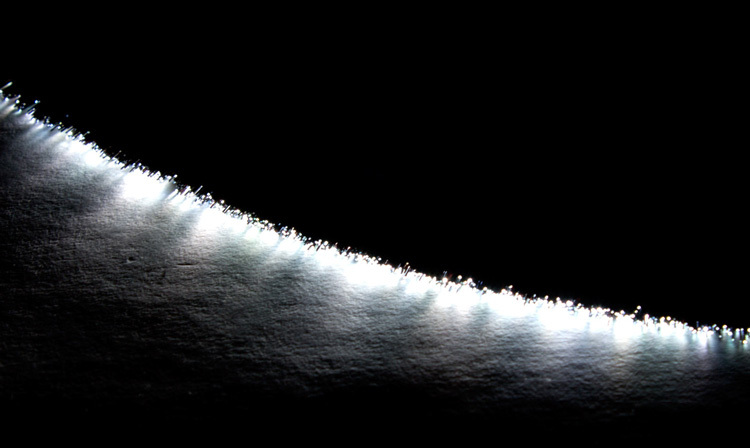 The difference between the black and white version is the the white fibres all show up in your image, whereas the black ones don't – just the ends glow. So, with a tool like this you really need to plan out what you will do with it. How will you paint? Will it be one continuous brush stroke, or will you turn the flashlight off and on to get broken or separated strokes. This one needs more thought before you head out and use it. We had limited space and time in our classroom to do that, but I'm eager to try it again soon. 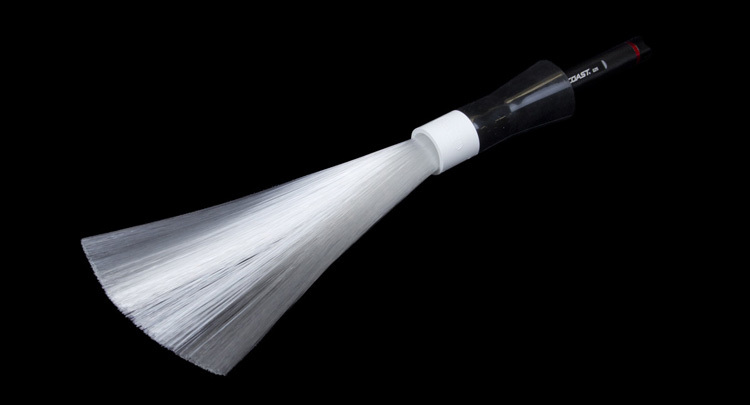 This tool is not something you could easily replicate in a DIY fashion. So if you want to play with this kind of look – pick one of these up. 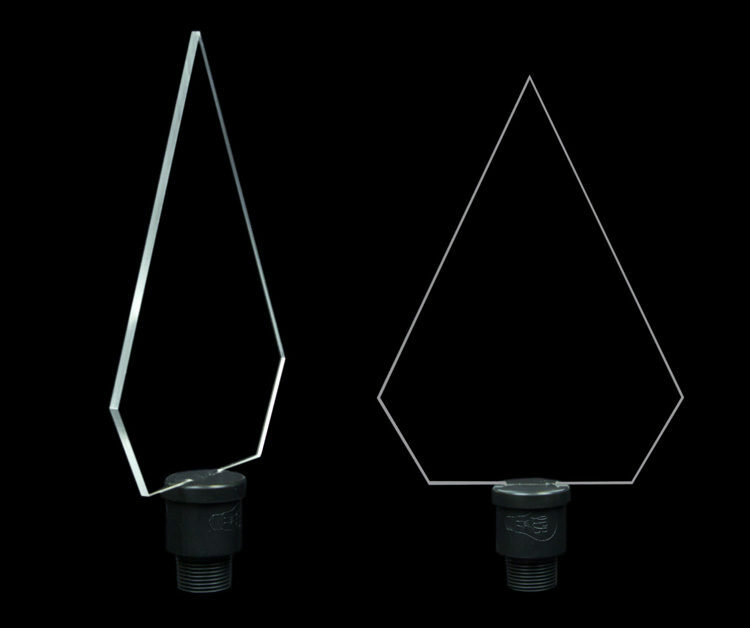 Okay these make me think Star Wars lightsabers, that's what they look like. Just don't let your kids fight with them. 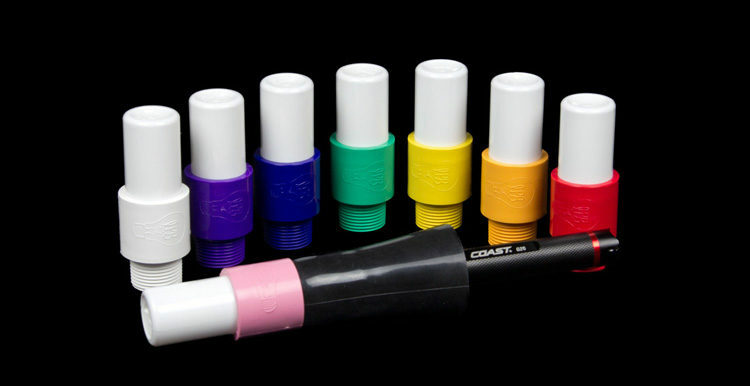 As all the other Light Painting brushes and tools they attach to a flashlight with the Universal Connector, and they come in a variety of colors. Turn on the light and watch your lightsaber glow. We did get time to try these ones out in the ghost town. They make a wider stroke of light that looks like ribbons in your image. How thick the ribbons appear depends on how you hold it relative to the camera, and how you move it. Here is what the green one looks like as someone walked through the scene, moving it up and down and making wave like motions. Note: the building in all of these images was lit by two other people using regular LED flashlights. This is a team type of project. 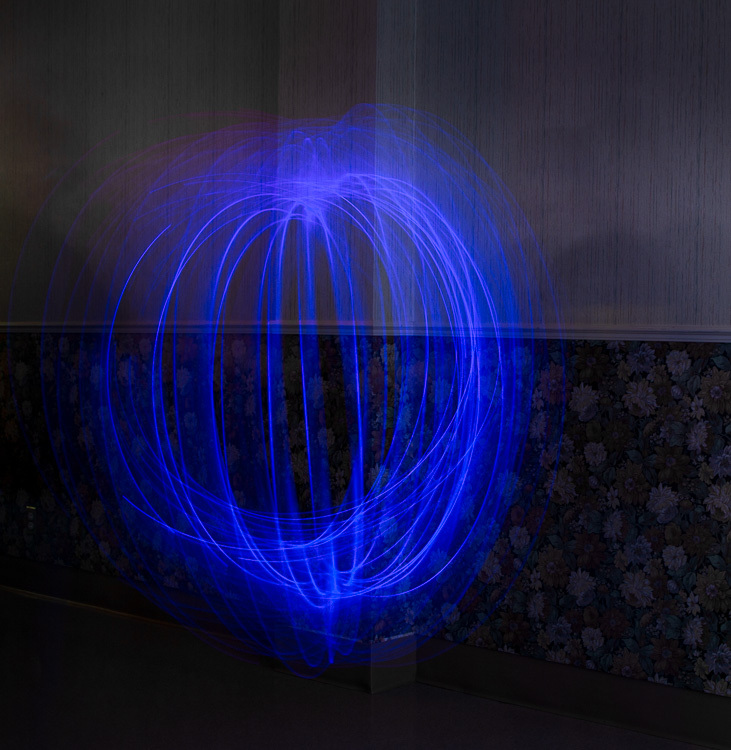 This image was made using the white sword and an Opaque Light Writer in blue (more on those below). This was made using the orange sword, keeping it low to the ground with less wave movements. 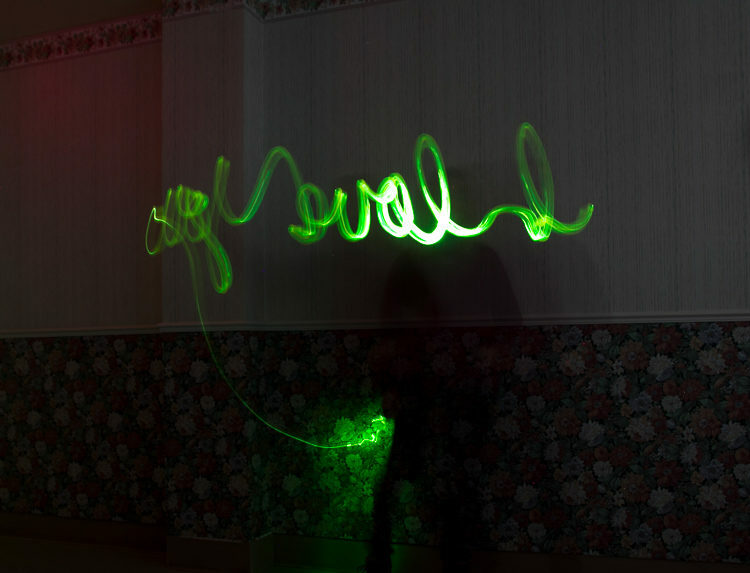 The next brush we tried out was the Opaque Light Writers, see below. They each have a coloured gel inside and a white end. So they glow in the color without producing a sharp light. But are also smaller, and make less wave or ribbon type looks than the swords. Here you can see the red Opaque Light Writer use with the orange sword. 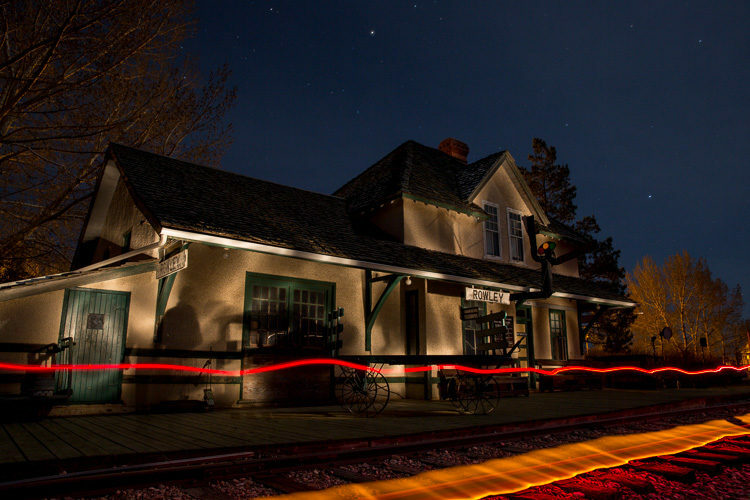 Notice we also got a ghost of one of our light painters on the building which is kind of fitting for a ghost town image, don't you think? That happened because he likely stood in one place for too much of the image, and he was between the light source and the building – making a silhouette of himself. 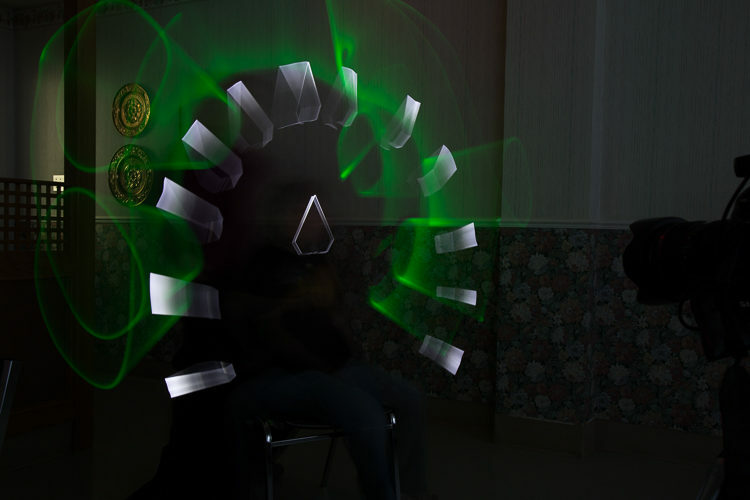 You can also attach one of these to a cord so you can spin the whole thing and make an orb in our image. You have to make sure all the pieces are securely stuck together, a little duct tape doesn't hurt just to be safe. We did this in the classroom. Make sure you have enough space to spin your light without hitting anything. The hardest part is not whacking yourself and getting your orb round. Practice swinging it before you turn the light on. Make sure you mark a spot on the floor to walk around, so you will make a circle around that spot. DO NOT stand in place and rotate – you will get a deformed orb that way. I give more orb spinning tips and settings here. So you can write with them (although they also have Light Pens but I didn't get any of those so we tried it with these and they did pretty well). You may think that it's easy to write a word that is the same viewed backward and forward but what about a phrase or one that isn't? NO problem! This . . .
Becomes this – with a simple image flip in Lightroom or Photoshop. So you do not have to master the art of writing backwards to use these. Just write as you would facing you, and make sure you have nothing in the background with words or lettering on it that will also get reversed if you flip the image. My husband mastered this technique in Nicaragua on our photo tour, by spelling out the name of a popular brand of beer there. He even managed to do the accent of the n – we were impressed! 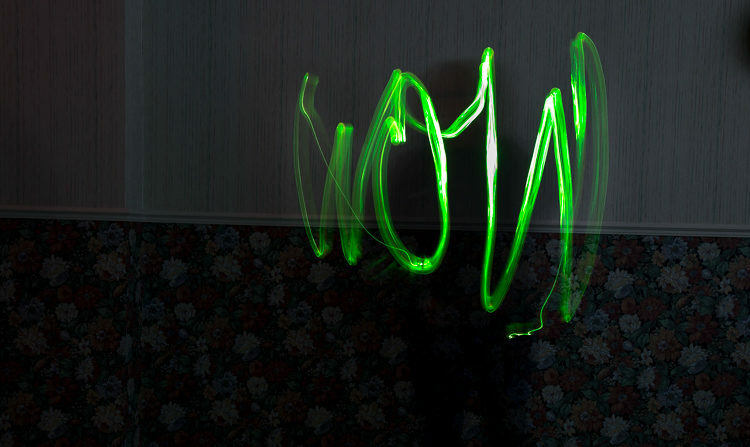 Note: this was done using glowing, color shifting, gloves not one of the Light Painting Brushes. I wasn't sure what to do with this at first to be honest, so I watched some of the informative tutorial videos on their site. 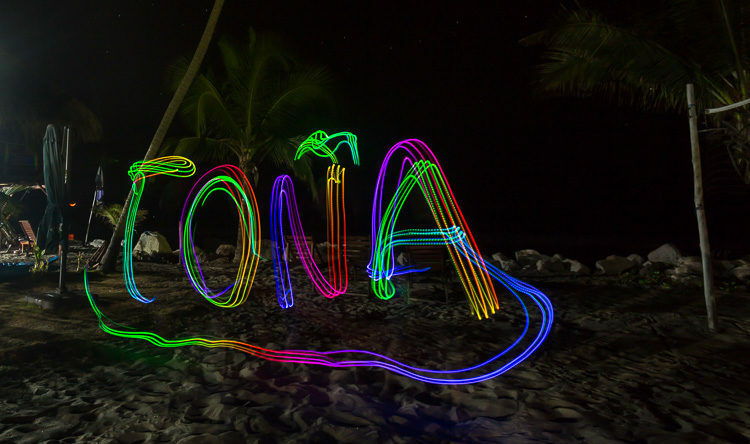 They have a great resource there for getting ideas, tips, and tricks for doing light painting with all sorts of things. They come in a few different shapes (diamond which I got, a couple rectangular options, and a new one shaped like a feather). I never thought of turning the flashlight off and on and had an AHA moment when I watched some of the videos. We tried, pretty successfully I think, to replicate the design in this video. You can see me in the middle here! Some light fell on me during this exposure so I showed up. Then we combined the Plexiglass Brush with some of the others. This is what we got in the classroom and out at the ghost town. 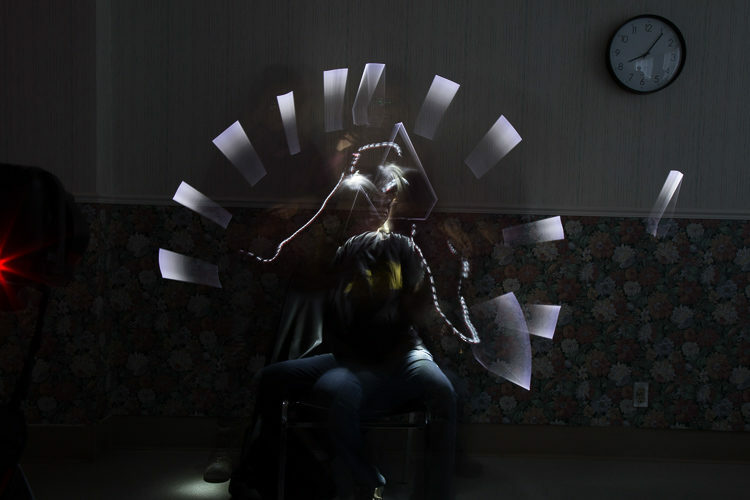 In a previous tutorial I showed you how to take multiple light painted images and combine them in Photoshop. I did that with a couple images from the ghost town (the one you already saw using the orange sword and the image directly above) to get the following result. Note: If you want a nice rich blue sky like the shot above, make sure you are out shooting at blue hour – not the middle of the night. Blue hour comes right after sunset and can be five minutes or over an hour, depending on your location relative to the equator. 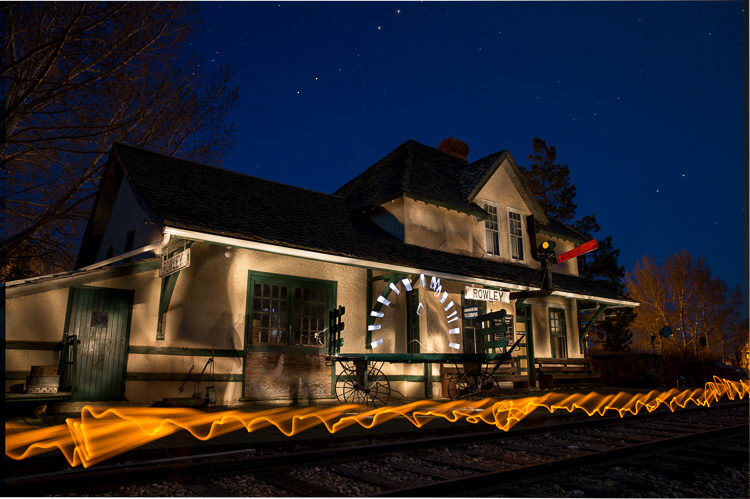 Read more on blue hour in this article: Guide to Photographing Light Trails at Night (skim down to #3). 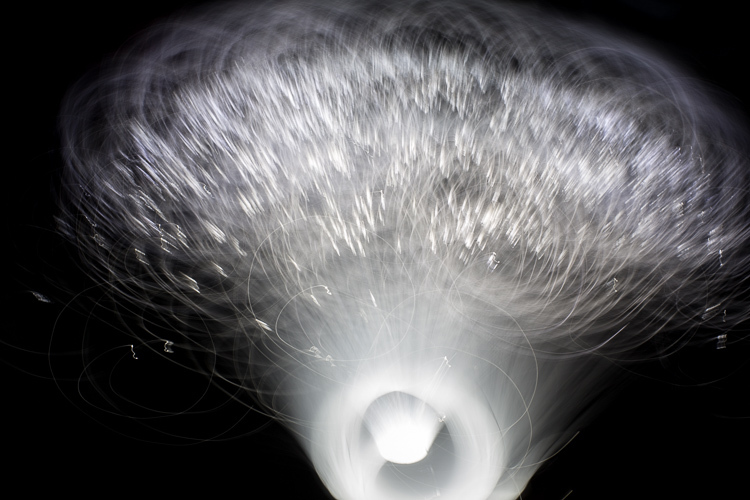 I hope I've given you some fun new ideas to try out doing light painting. 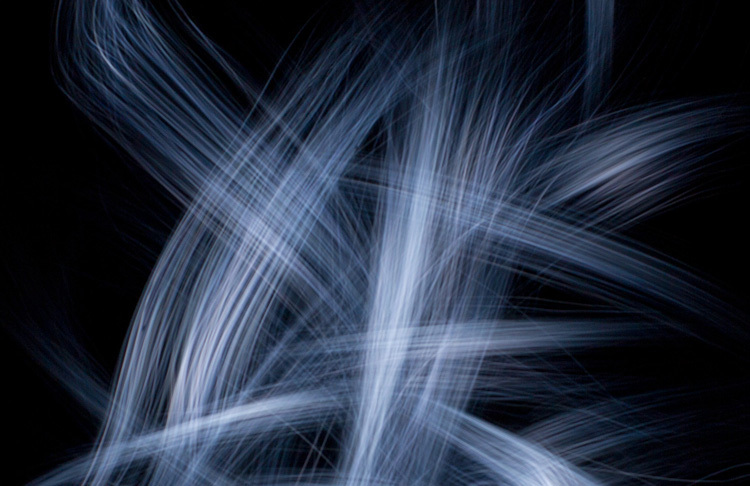 If you want to check out these tools head to: Light Painting Brushes. Can you fashion some light tools yourself – for sure! Will it be as easy and work as well – hard to say until you try it. The creator of these tools did all that and decided to make them for people like us that don't want to futz around with tape and gerry rigging stuff together. If you only go to grab a Universal Connector ($20) it will make your life easier, trust me! Please note: I get absolutely nothing for recommending this product, and only do so because I think they are really cool and they work. 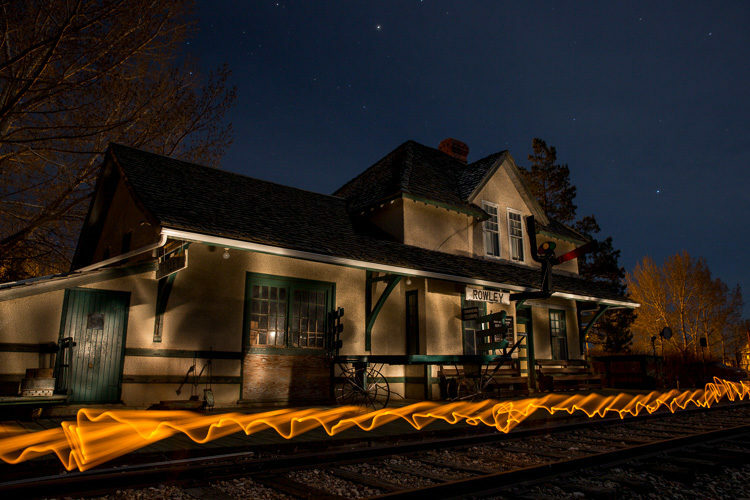 Have you tried light painting before? 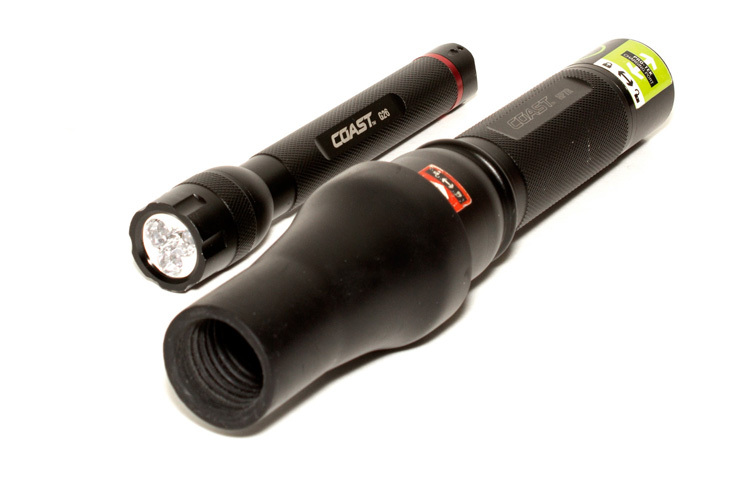 Do you have any other cool light tools you've tried or made? Please share your ideas, images and questions about it in the comments below.